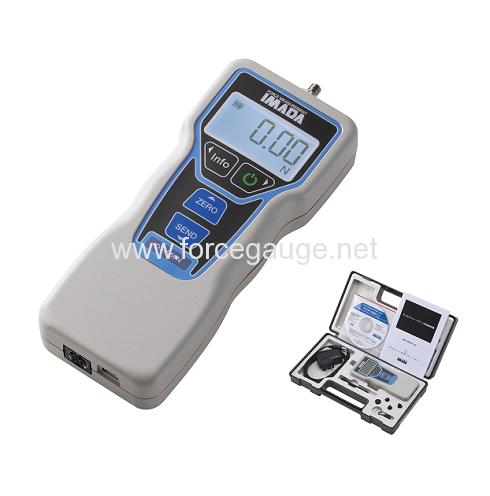 DSV series digital force gauge for handheld use | IMADA CO.,LTD. 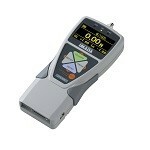 – DSV is designed for handheld use : Hand fitting design & the lightweight body. – DSV has a tilt-sensing function, sounding an alarm when it sense tilt from the preset position. 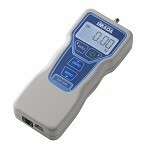 – DSV is equipped with internal memory up to 1000 point. 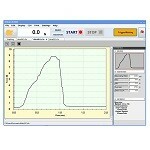 – Using a supplied software (Force logger) & USB cable, you can easily transfer data from DSV to PC. 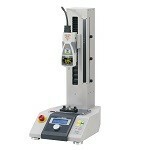 – DSV-2N/5N/20N/50N has a mechanical stopper for preventing overload. – You can charge DSV from a PC or a mobile battery. – Battery life lasts 30 hours at maximum when its backlight is off. Dimensions Refer to Dimensions below. *1 These are the specifications for International model. Note that the available units are different from Japanese domestic model and international one. kN is available at 1000N, mN and gf is available at 2N and 5N ranges. *2 You cannot use Continuous peak mode when the measurement does not reach 10% of the force gauge’s capacity. Instead, use Peak mode. Continuous peak mode could not fit enough for measurement with a shock such as break tests. Contact us for further details. *3 The weight is slightly different by the models. 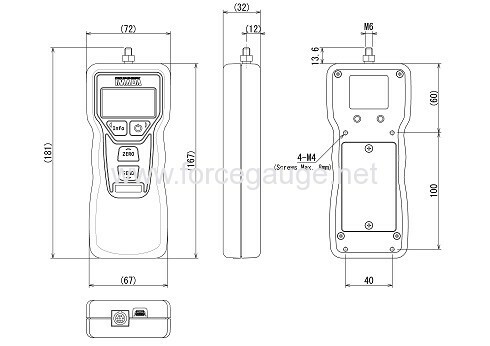 *4 For further information, refer to “Accessory attachments” in “Models for DSV series force gauges” below.